Okay, it's not a squirrel. It's not even a ground squirrel. But I like yelling "squirrel!" Because I'm easily distracted. My husband surprised me with a new camera before I headed up to Estes Park for a writing weekend with a friend. Believe it or not, we actually got a whole lot of writing done, so we didn't venture out to take photos much. However, during a break in writing one afternoon, I wandered around the cabin we were staying in and took some photos of the chipmunks (that were, surprisingly, the only real wildlife we saw). I also took some closeups of plants and flowers that I might share next week. We'll see. Without further ado, meet Chuckie, the Chipmunk. We did actually see regular gray squirrels, but no bears, moose, or elk. Someday I'll get a photo of a moose. I've got plenty of elk! This is actually the first time I've been to Estes with no sign of an elk. I got a lot accomplished on Wendigo Nights, but I've got a long road ahead. I cut about 3000 words, then added 6000 more. Not too shabby, except for the fact that I went there knowing I needed to add about 16,000 words. My urban fantasy is currently sitting at about 52,000 words, post-weekend. Not enough. Sigh. Contrary Magazine is seeking original commentary, fiction, and poetry for their next issue. Pays $20. Deadline September 1. 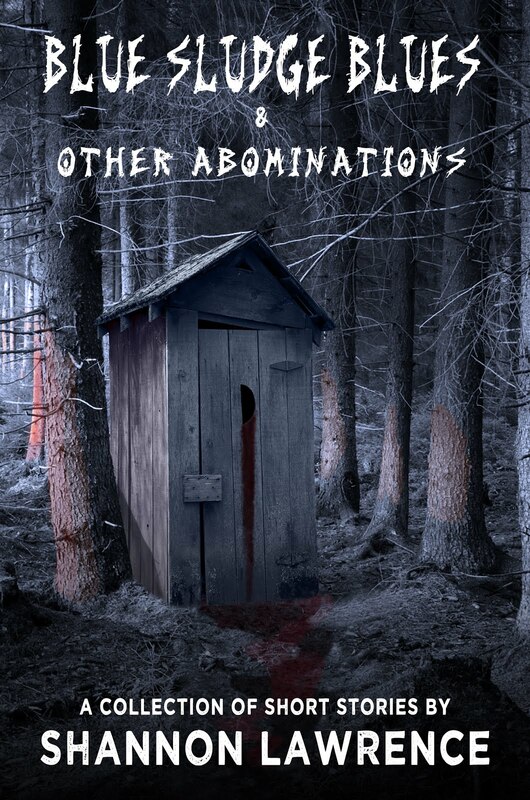 Emby Press is looking for scary atmospheric horror for The Monster Waiting in the Woods. 2000-8000 words. Pays $25 and an e-copy. Deadline September 1. The Anthology of Quitters is looking for novels that never found fruition. If you started a novel, but trunked it, they might just be interested. 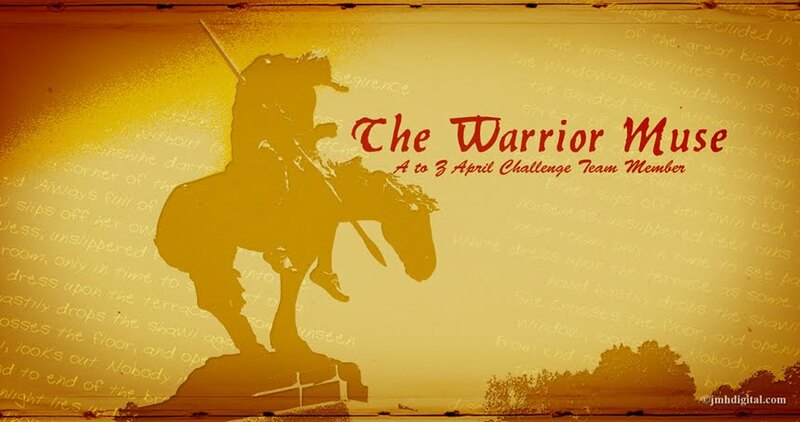 This anthology will publish 2000-5000 words of your trunked novel. Pays $25. Deadline is given as Early September. Sirens Call Publications is seeking short stories for Witches, Warlocks, Demons, & Evil-Doers, an anthology. 4000-8000 words. Pays $25. Deadline September 1. Briarpatch Magazine wants writing on current issues. Profiles, essays, reviews, parting shots, feature stories, photo essays, investigative reports and articles. Pays from $50 to $150, depending upon submission type. Deadline September 4. Cracked Eye is open for submissions of short stories. 500-6500 words. Pays professional rates. 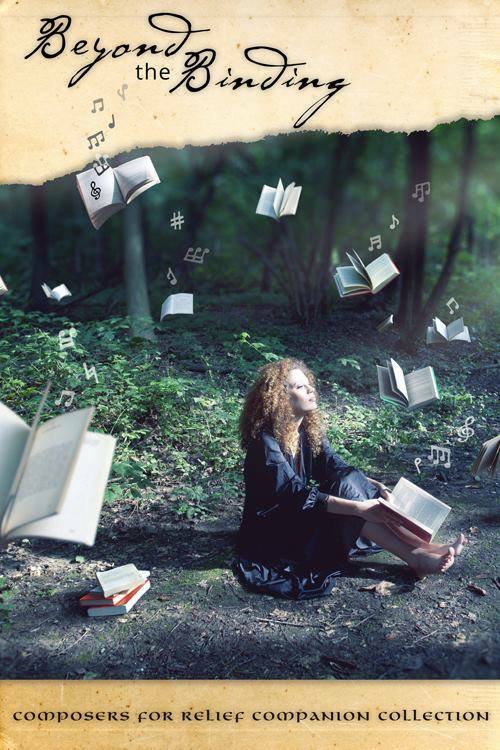 Unsung Stories is seeking speculative fiction short stories (and novels). Up to 3000 words. Pays £25 . 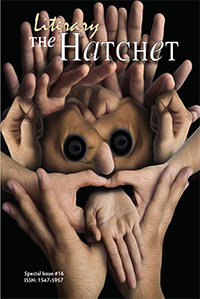 Maniacal is looking for short fiction. They like weird and funny. Up to 3000 words. Pays $2, plus e-copy. The Fiction Desk is seeking short fiction. 2000-20,000 words. Pays £15 per thousand words. Filling Station is accepting fiction, poetry, nonfiction, creative nonfiction, and art. Paying market. In lieu of [Mostly] Wordless Wednesday, I'm sharing Medeia Sharif's cover for Hot Pink in the City instead! Asma Bashir wants two things: a summer fling and her favorite '80s songs. During a trip to New York City to stay with relatives, she messes up in her pursuit of both. She loses track of the hunk she met on her airplane ride, and she does the most terrible thing she could possibly do to her strict uncle…ruin his most prized possession, a rare cassette tape. A wild goose chase around Manhattan and Brooklyn to find a replacement tape yields many adventures—blackmail, theft, a chance to be a TV star, and so much more. Amid all this turmoil, Asma just might be able to find her crush in the busiest, most exciting city in the world. Now for some links. Please bear in mind that I'm merely passing these along, not endorsing these. You should still do your own research before submitting. Meta Sagas is accepting submissions for science fiction, space opera, and related genres. 3000-10,000 words. Pays $.06/word, plus royalties. Deadline August 31. 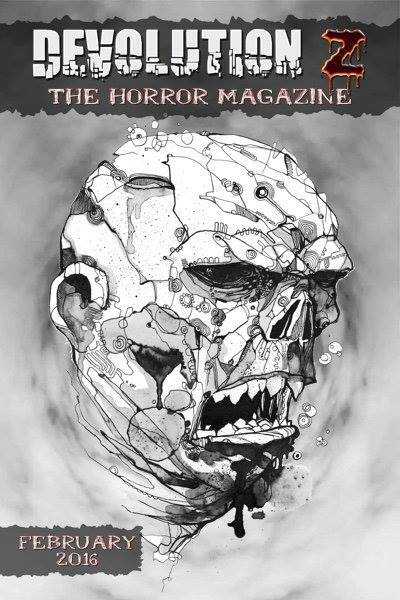 Knightwatch is seeking horror/dark tales having to do with taverns of ill repute for Weird Ales. 2000-6000 words. Pays royalties. Deadline August 31. Qu Magazine is looking for prose and poetry. Up to 8000 words. Pays $100 for prose, $50 for poetry. Deadline August 31. 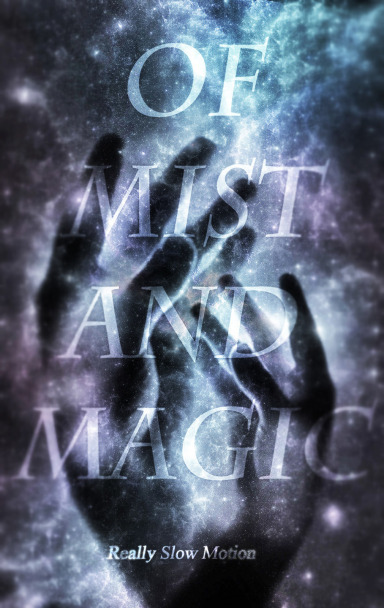 Less Than Three Press is seeking bisexual romance dealing with magical shoes for their anthology Enchanted Soles. 10,000-20,000 words. Flat fee of $200. Deadline August 31. Crossed Genres' August theme is pronouns and gender. (They are also still taking submissions for the Anticipation theme.) 1000-6000 words. Pays $.06/word. Deadline August 31. Backcountry Magazine is seeking features and other article types, as well as photography. Query first. Pays $.35/word or a flat fee for photos, depending upon placement. 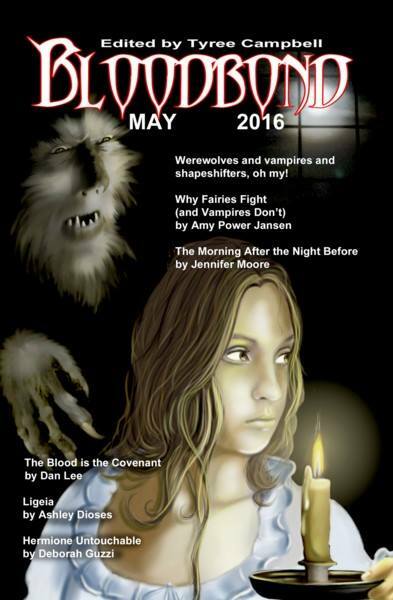 Urban Fantasy Magazine is seeking UF short stories. Up to 6000 words. Pays $.06/word. 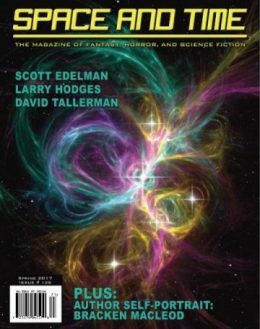 Orson Scott Card's Intergalactic Medicine Show is seeking speculative short fiction. Pays $.06/word. Also taking artwork. Strangelet accepts submissions year round of short stories, poetry, art, and comics. 2000-7500 words. Pays $.01/word. The Penny Hoarder is looking for writers for short articles on fun ways to make more money. 700-900 words. I don't usually pass along stuff that doesn't pay, but if you hit a certain number of page views, you get cash bonuses. 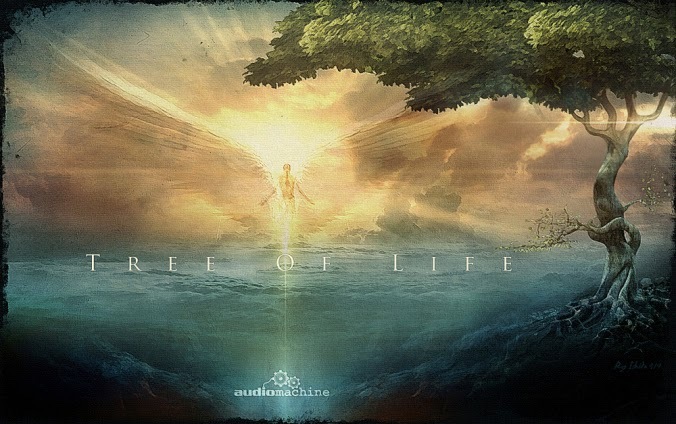 What do you think of Medeia's cover? Any of these links of interest? Anything to share? Today's going to be a short post since I just burned all of my writing time getting some non-writing work finished. Ah well, it needed to be done. And I'll have plenty of writing time next weekend since I get to go up to Estes Park and have a writing retreat weekend. Woot! I figured for today I could share some good news. 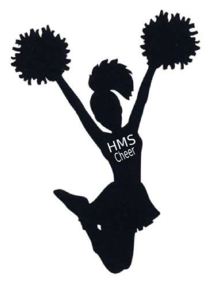 Last week I got two acceptances. 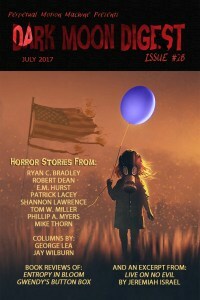 I placed a memoir flash fiction piece with Ember: A Journal of Luminous Things, and I placed a short horror story with Sanitarium Magazine. The emails came two days in a row. PSA: One of my acceptances showed up in the spam folder. Be sure to check your spam folders regularly! If it weren't for the fact that I check daily, I might have missed the opportunity. Sanitarium has an interesting model. They're just now switching things to it. Each week, their subscribers get a mini-issue that they can access online. 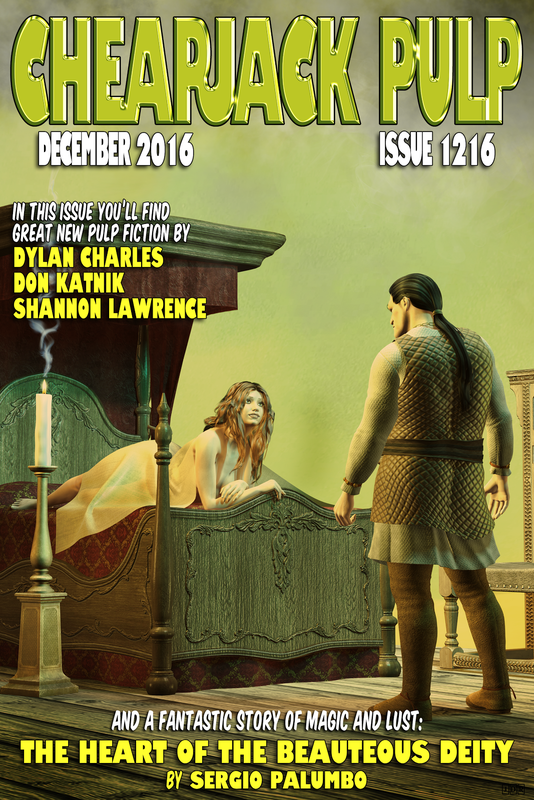 At the end of the month, each mini-issue is combined into the monthly full magazine, which they then get via their preferred means. 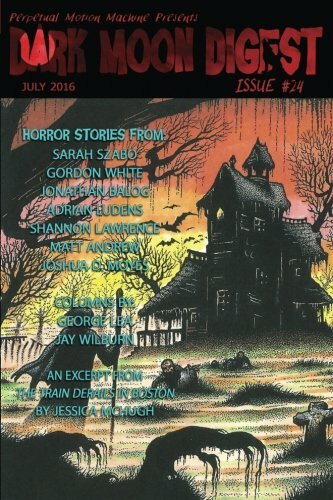 So I already got to see my short story in the subscriber mini-issue, and now I'll get to hold a hard copy in my grubby little hands (remember the discussion last Monday?) I'm excited that I'll be getting a hard copy of each of these publications! Do you have any good news to share? How is your summer writing time going? Are you actively submitting? Are you waiting to hear on any submissions? 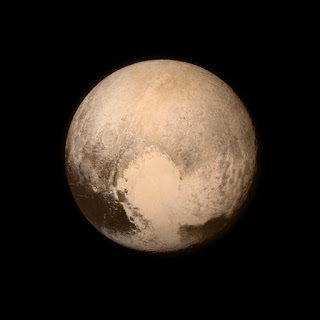 Has everyone out there been watching updates about our fly-by of Pluto? Courtesy of a meme I saw, all I can see is a happy planet with a heart-shaped belly, its hands on the belly on either side, and a cute smiley face. I do love that it has a heart on it. You think that's enough to convince NASA that Pluto should be reinstated as a planet? By the way, there are a bunch of Pluto memes going around. Do a quick search on "Pluto meme" and see what comes up. (I was too lazy to post any and have to mess with attribution.) The photo above is courtesy of NASA. Mothership Zeta has a narrow submission window. They're looking for fun speculative fiction (yes, even fun horror). Up to 6000 words. Flash fiction and short stories. 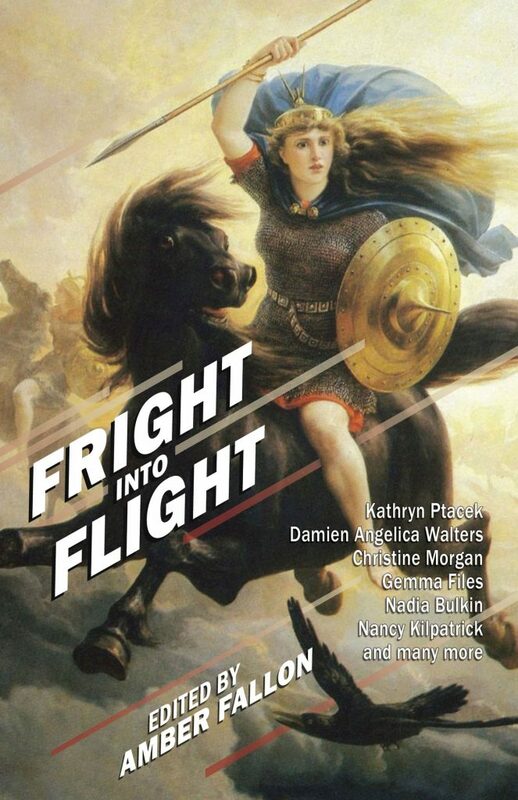 Pays $.06/word for short stories, $30 for flash fiction. Only open July 12 through July 25. Literary Wanderlust has put out a call for A Few of Our Favorite Things: A Holiday Anthology. Romance. 10,000-18,000 words. Token payment of $30 per story. Deadline July 31. They are also accepting novel submissions in various genres. Incandescent Phoenix is looking for submissions for their solarpunk dragon anthology. They define solarpunk on their website if you're curious. 1000-10,000 words. Pays in shared royalties. Closes July 31. Helen Literary Magazine is accepting submissions for their October issue with the theme "Animal." 500-5000 words for fiction, 1500-5000 words for creative nonfiction. They also accept poetry, spoken word, performance and short film. Pays between $2 and $10, depending upon submission type. Deadline August 1. Specklit is looking for drabbles. 100 words. Fiction or nonfiction reviews. Pays $.05/word for fiction, nothing for nonfiction. Deadline August 31. Local Hero Press is seeking short stories for their Caped anthology. Superhero fiction. Up to 5000 words. Pays $.01/word. Deadline August 31. Vine Leaves Literary Journal is open for vignettes. All genres except erotica. They also take artwork. Up to 800 words. Pays $5 AUD. Current deadline August 31. 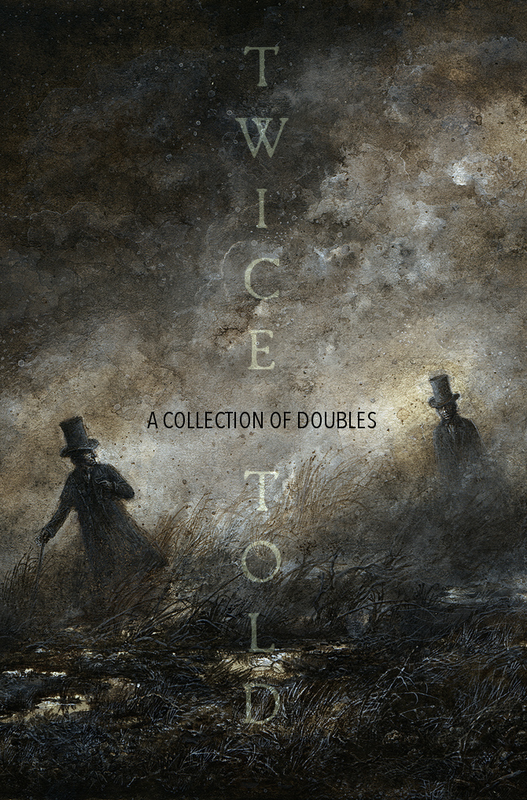 Wicked Tales is looking for short fiction for Muffled Screams. The theme is "Corner of the Eye." 3000-20,000 words. Pays $.01/word, plus a share of profits if it breaks a profit. Deadline August 31. Amazing Stories is holding the Gernsback Writing Contest. Science fiction. 1000-2000 words. Theme: What will our solar system look like 250 years from now? Top ten stories will be published and paid $.06/word. Deadline July 31. Lunch Ticket is once again hosting the Diana Woods Memorial Award in Creative Nonfiction. Essays up to 5000 words, your choice of topic. Prize is $250 and publication in Lunch Ticket. Closes July 31 along with their publications Amuse-Bouche, also taking submissions through that date. Any of these of interest to you? Anything to share? Publishing news? Experience with any of these publications? Have you been following news about Pluto? Do you think it should be a planet? What's a Girl to do in an E-Pub World? My dreams of being published have always involved holding a book or magazine in my hands to flip through the pages and see my name in print. However, the world has changed over the years, and now we're living in an e-pub world, which means most of my publications so far have been in e-form. 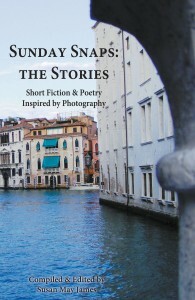 While I'm excited to be published in any form, I've only had the opportunity to hold a book that includes my writing once, with Sunday Snaps: The Stories. That book rests on my shelf, there to be picked up whenever I want to hold it. I don't know about you, but my Kindle doesn't provide that tangible sensation a book made of paper does. Up to this point, I have gotten a Funko Pop villain as a physical representation of my stories (I have more than in that photo now), and as a visual reward for each of my publications. 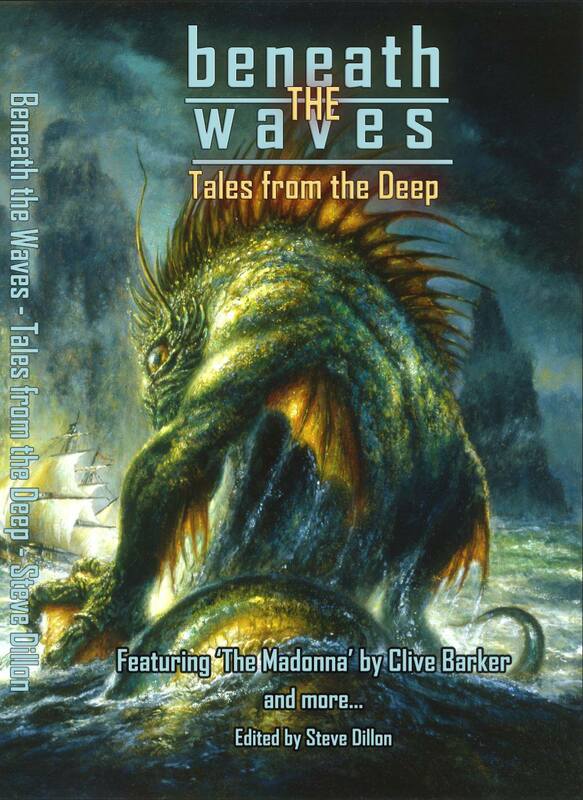 However, other than reading the e-copies of the books/magazines, I've had no other interaction with my stories. This evening I sat down and printed up the covers of the anthologies and magazines that include my work. I haven't worked out the details yet, but I'll be putting them in a binder so I can flip through and see the covers. This is also where my contracts will be kept. Yes, I kill trees and print them up. I like to have the physical forms in front of me, and always have better reading comprehension with something on a piece of paper vs. something on a screen. So I print them up to review them before signing/agreeing, then I file them. I'm deciding whether to print up my stories to keep in the binder behind the covers. I keep the e-books/magazines on my Kindle so I have the closest to a physical copy of the book or magazine possible. How do you save your e-books/publications? Do you print up the covers? Do you display them? If so, how? 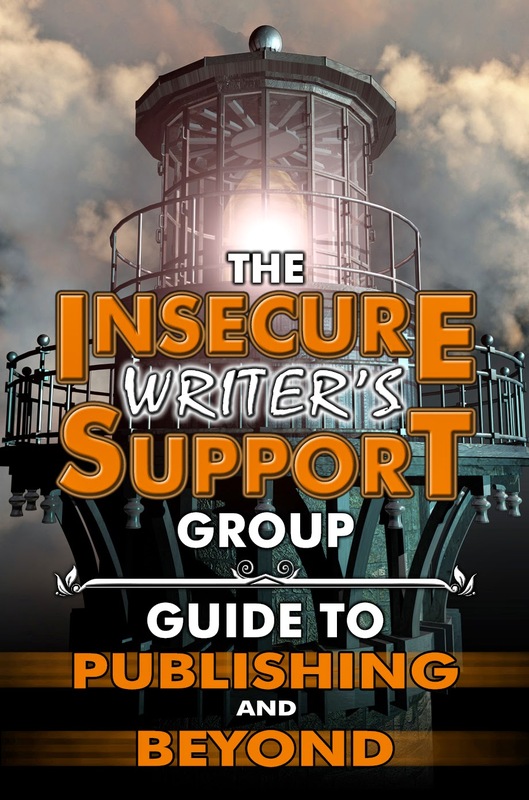 Do you keep hard copies of your e-published stories? What do you do with them? Where do you keep the e-copies? I went out back to write over the weekend, but was distracted by a terrible racket. There was a whole lotta' chirping going on. Ultimately, I tracked it to this little fellow. We had a fledgling. A hungry one, from the sound of it. He was carrying on, flapping his wings, and chirping his head off. Mama appeared worried. There was even a tubby red-bellied guy who was hovering around in concern. But mama was on the job. In the neighboring backyard, this bunny was not at all amused by the sound. Neither was I. After spending some time photographing them, I finally took my laptop inside. It's interesting to note that a lot of birds came to the fledgling's call. My husband, who was working on our greenhouse, said a different type of bird brought the baby food at one time. It seems with birds, it takes a village. Unless they're birds of prey. Different kind of story. 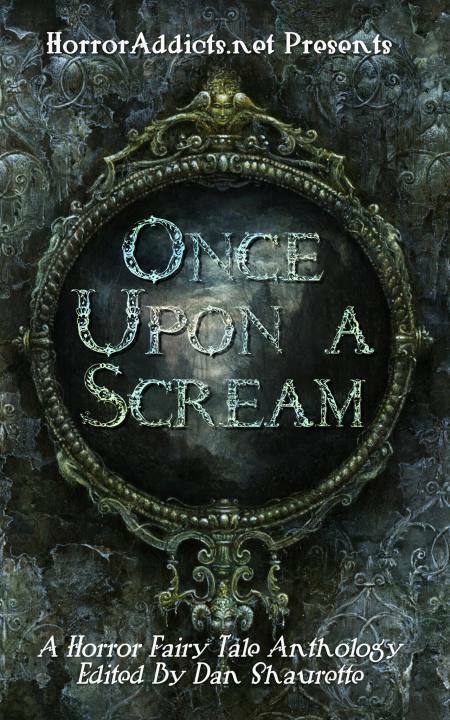 Sirens Call Publications has an open call for their bi-monthly e-zine Tales of the Supernatural. 300-2500 words. Also accept poems and drabbles, plus artwork, photography, and literary reviews. Pay unknown. Deadline August 1. Cohesion Press is taking submissions for Snafu: Future Warfare. Military/sci-fi/horror. 2000-10,000 words. Pays $.04AUD/word. Deadline August 13. Mother Jones Magazine takes hard-hitting, timely content. 1500-5000 words, depending upon article type. Must send proposal. Pay not specified. Fine Linen Magazine is looking for all genres of stories. 200-700 words. Currently reading for the Autumn issue. Pays $.05/word. Garden Gnome Publications is looking for tales of local legends. 321-1234 words. Pays $5 flat fee. 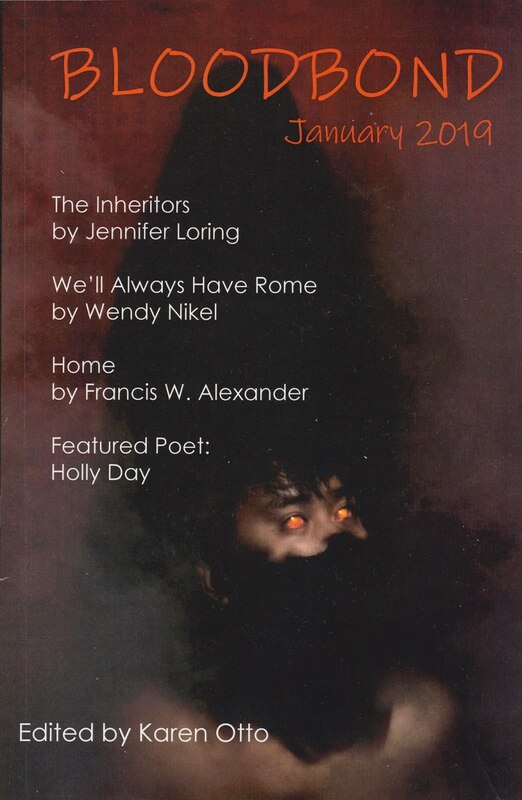 Prolific Press has a bundle of magazines accepting poetry to short fiction. Rather than post each one separately, I've linked to the page that has links to their different publications. The Tishman Review is seeking micro-fiction, flash fiction, short stories up to 8000 words, poetry, and creative non-fiction. Pays on a sliding scale from $10-75. Third Wednesday is seeking poetry and short fiction (no genre fiction). Up to 1500 words. Rolling deadlines. Pays $3-5 and a contributor copy. 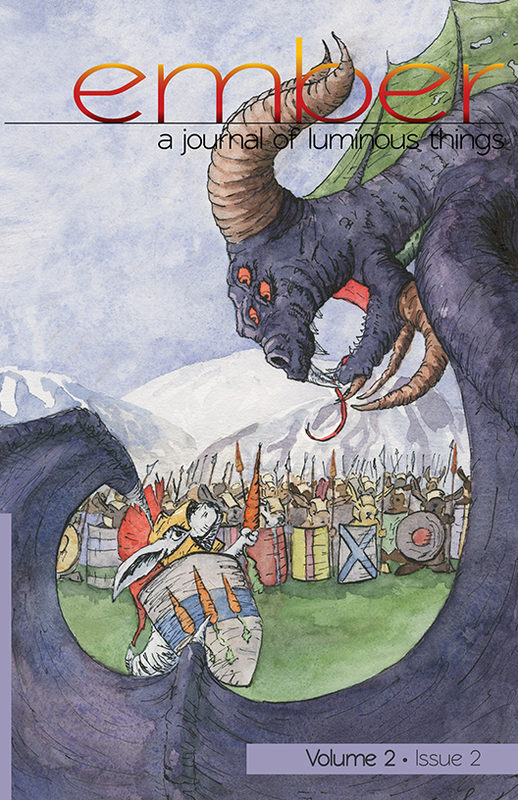 Beneath Ceaseless Skies is looking for literary adventure fantasy set in secondary worlds. Up to 10,000 words. Pays $.06/word. Middle Planet is looking for short stories, comics, and non-fiction. They lean toward speculative fiction. Pays $30 per piece. Any of these of interest to you? Seeing fledglings around? Have you ever seen a bunch of different types of birds supporting each other? Anything to share? Publication news? I've been pondering how to change up my blog to make it more of an author website. A couple months back, I added the "Publications" and "Guest Posts & Interviews" tabs. Now it's time to go a step further and concentrate less on blog related information, such as the "Awards" and "Blog Hops" tabs. The question becomes, what do I add and what do I take away? What makes a good author website? There was a discussion on Facebook recently. I believe it was on the IWSG Facebook page, but I can't say for sure. Several people were talking about the necessity of an "About Me" page on their blog/website. Apparently, a lot of people see heavy traffic on their "About Me" page, which makes me think I should add that tab. The "About Me" page should say something interesting. Probably something different than your bio. I've seen some interesting ones on blogs, but can't think of an example right now. Some have included Q&As or bits of trivia. You should also have your other social media links there and/or on the front page of your blog/web page. Not such a necessity for me yet, but having been in charge of putting on writing events, which meant contacting authors to speak, I know the value of a simple press kit. It should include a long and short bio, headshot(s), contact information, agent contact information (if applicable), and blurbs about your most recent book release (again, if applicable). A downloadable summary of your publications with book images is a plus, as are downloadable versions of headshots and bios. If these aren't included on a different page, a list of your publications is a good idea. 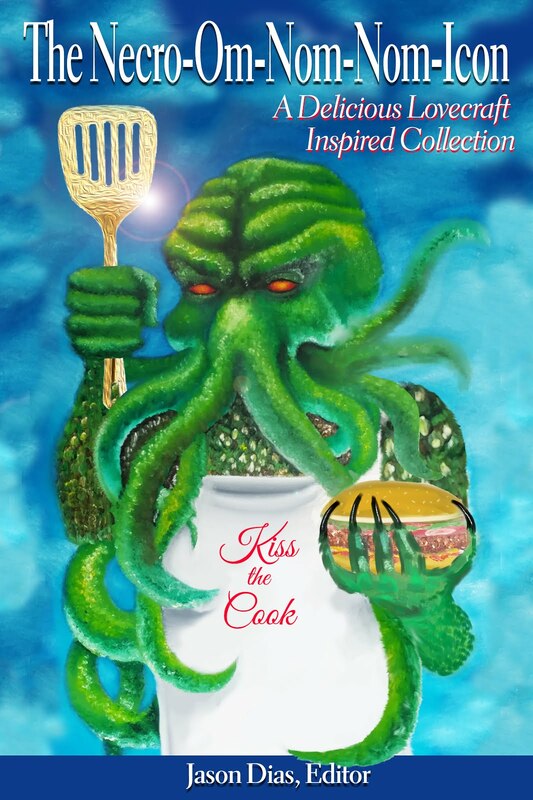 Include the cover image and purchase links. In addition to this, I'm thinking it's a good idea to have these advertised along the front page (whether that's your blog or an actual website). I've seen some cool widgets that flip through cover images. If you have one you like, can you tell me where to find it in the comments? Chris Fey has a good one on her blog, and it looks like you can click on the bottom to get the widget for yourself. Another thing to consider including on this tab/page is reviews. If you've received good reviews, get the reviewer's permission and post snippets of it or link to the larger review. Whether this is its own separate tab or part of either the Press Kit or About Me page, this is valuable if you're hoping to be asked to speak at events. When I was looking at an author as a speaker, I would often search around for information on what other workshops they had given, so I knew what topics they might be knowledgeable on. Someone I think has done this particularly well is Barbara Samuel. (Note: She also has downloadable bios, photos, book cover images, and a press kit.) She offers suggested topics, as well as a list of previous engagements. I also liked it when the author promoted their upcoming event with us through their social media/website while we were promoting on our end. I figure my blog works for this, as I can share any news in a post and have active content on the front page at all times. If you're doing an actual website instead of a blog, a "News" section is a good idea. Whether it's a separate page or the front page, make sure you have somewhere to keep people updated. Another thing that isn't yet an issue for me, but I always like to be able to check out different series on an author's page. If you have multiple series, make a tab for each so people can see what you have to offer, see other books in the same series, and even see what order they should be read in. As a reader, I've had to look up series I've started late on in order to read them in order. Make it easy! Two people who do this are Christine Rains and Andrew Leon. A couple other authors who use their blog as their website are A Beer for the Shower (Brandon Meyers and Bryan Pedas) and Alex J. Cavanaugh. And, of course, there are a ton more, all of whom I'm visiting to get some ideas. Background/appearance are a whole different subject. And one I'm still working out. 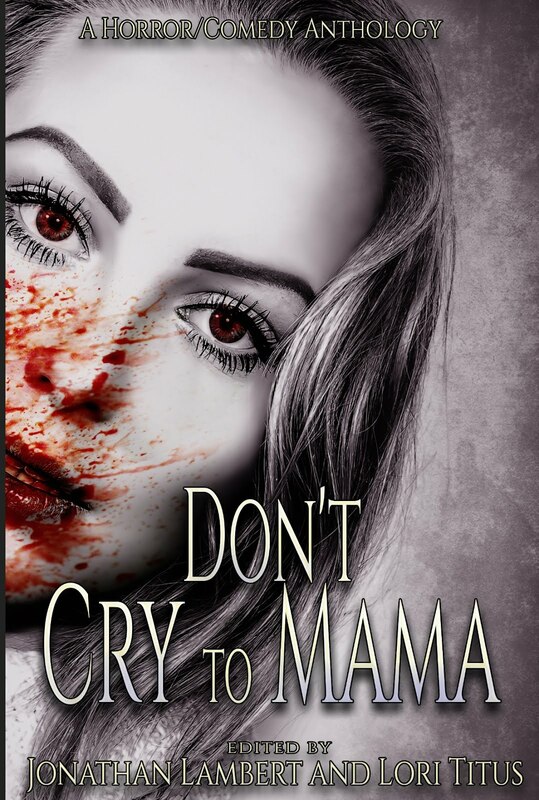 I love the image Jeremy created for me, but I don't know if it still works for my site, considering I'm primarily being published in horror right now. That change will take me a bit longer, anyway. This is just a little of what I'm tossing around right now. I'd love to hear your thoughts and feedback! What do you think should be on an author website/blog? 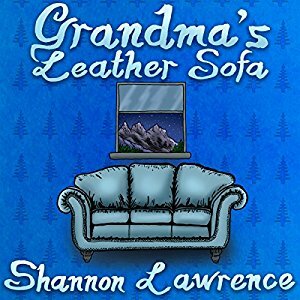 What do you like and dislike about author sites you've seen? What widgets do you adore? Do you have one widget for your social media or do you use their individual widgets? 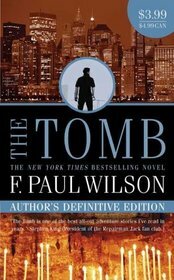 This week I'm reviewing The Tomb, by F. Paul Wilson. 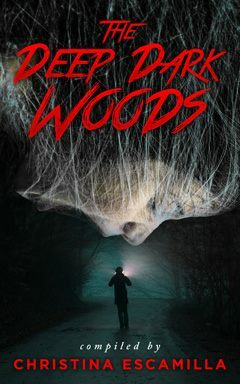 This book is actually classified as supernatural thriller, not horror, and I'd agree with that. There was nothing frightening about this story. However, the pacing was pretty good, the stakes high, especially at the end. I didn't always feel that tension, though, maybe because we knew who the villain was. Also, the main character wasn't too intent on finding the villain at first, so why would the reader feel that urgency? It wasn't until it became personal for him that things picked up. The main character is Repairman Jack. He "takes care" of problems. He's charged with two jobs at the beginning of the book: 1. Find a missing elderly woman, and 2. Find the missing necklace of a different elderly woman who is dying in the hospital after being attacked and robbed. His job ultimately leads him to a nightmare creature called a rakosh, an Indian (India) demon. The rakoshi are being used to take revenge, and he must race against time to stop them from killing someone he cares about. I liked the character of Repairman Jack. He was down to earth, despite being a tough guy who discreetly takes care of problems he's paid to deal with. There was a certain aloofness, but he wasn't an uncaring man. Certainly, he has an interesting life. This is a series, so his adventures go on. His good friend is Abe, a sports shop owner who also runs guns from the basement. Abe was a Jewish conspiracy theorist, and quite fun. His villain was a mixed bag for me. While he did have good and bad aspects, an important element of a good villain, he was a little too crazy-pants for me. At least there was a reason he was seeking his revenge. Even so, his rationale was thin. No matter what misgivings he had, he had to fix his karma by doing this awful thing, which makes no sense to me, but obviously I'm not a karma expert. He acknowledged to himself that these people were innocents, yet he had to take them out to satisfy his thirst for revenge that didn't even start until recently. The characters that really irked me were the women. See, Repairman Jack has two love interests in this book. One is a woman he had a relationship with, but who broke up with him when she discovered he wasn't actually a repairman. She was a shrew. I hated everything about her. I couldn't stand any scene with her in it. She didn't give this man she was in love with a chance to explain anything to her, she judged him and harped on her feelings about his life every single bloody time we saw her, she blamed him for all kinds of things, and she sent mixed signals (because comfort--blah.) I feel like he was trying to write her as a "strong" woman, but what she was instead was a nasty, angry person. Blech. The other love interest wasn't much better. She was a guardian of the rakoshi, and incredibly old, despite her appearances. At first, I liked her. She was strong, she was sultry, and she knew what she wanted. But she dissolved entirely, and turned out to be yet another damsel in distress for Jack to take care of, even against the creatures she had been put in charge of. What? She's 200 years old, but she goes into shock when he needs her most, whimpers and spaces out, lets the villain walk over her. Blech again. I wanted to slap her. She was useless. Why? Every female in this book was a damsel in distress. Every single one. Trying to write them as strong doesn't cover that up. And my version of strong is obviously different than his, which is fine. To each their own. But I was so distracted by these women's weaknesses that I couldn't get fully engaged in any scene involving them. I found their weakness tiresome. I rolled my eyes every time they got in trouble or made a stupid mistake. I felt letdown whenever a chapter was about one of them. On top of that, his relation to Gia, the woman he loves, but who broke up with him, irritated me to no end. They'd been apart for months, and she never tried to hide how disgusted she was by him. Yet he kept pushing, kept bugging her, kept calling, kept talking to her like nothing was wrong. And he was repeatedly hurt by her rebuffs. In short, I wanted to slap him. Stop being hurt by it. Leave her alone. I'm sorry you're hurt, but you're making it worse by constantly pursuing someone who doesn't want to be with you. Grow a pair and walk away, dude. In other words, the story is interesting, and the rakoshi mythology was well enough created that I actually looked them up to see if they were a real legend in India (nope.) The relationships and female characterizations were the weak points of this book. The story line was the strong point. I was rooting for him in everything but love (seriously, ugh). I think the tension could have been better. This is an early book in the series, I believe, so it probably got better. One of the things about this list is that often the first book is put up as the author's best of, and that's rarely the case. Despite my not at all concealed rage at the female characters and "romance," I would read another Repairman Jack novel. I'd just skim to make sure Gia wasn't in it first. If the women in that book were as weak and useless, I'd stop there. I'm having a harder time ranking books as I go now that the numbers are growing, but here's my best shot at it. Now that I've officially depleted my closest library's reserves of books from the list, I'm unsure what book will be next. I need to switch back to the ebooks and see what I can come up with. Have you read F. Paul Wilson? How about his Repairman Jack books? Do they get better? What did you think of the character of Jack? How do you define a strong woman character? First Wednesday of the month! What do you say? Time for some insecurities? The Insecure Writer's Support Group was created by Alex J. Cavanaugh. All are welcome to join. Just sign up and jump in! Tell us about your insecurities or offer uplifting support. 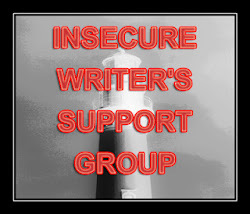 I've mostly posted about short story writing and submitting for IWSG lately, because that's where my focus has been, but now that I'm making progress with editing on my novel, all those old insecurities are popping back up. I've noticed that I'm excited to jump back in now that I've figured out what to do with the plot, yet I keep hesitating. So what's holding me back? Am I scared to do the changes? No, because I've saved a copy as it currently exists, and will edit separate from that. Until I can figure out why I'm feeling this way, I'm not sure how much progress I'm going to make. Time to sit down and do some self-analysis. As part of IWSG, I always go over my short story submissions process for the previous month in order to keep myself accountable. I have 12 short pieces on submission. I submitted 5 pieces in June. I received 4 rejections this month (and 1 magazine I'd submitted to sent out a notice that it was shutting down). 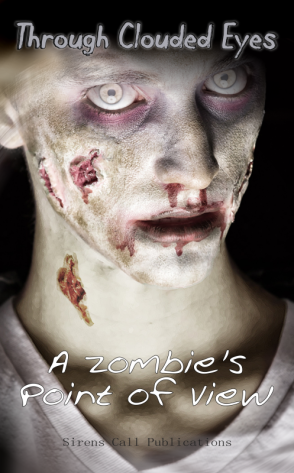 I completed 1 new short story and sent it to my critique group. I finished the post-outline and notes for my first revision of WIP #2. Not too shabby. I still have several short stories I need to finish editing and get submitted. Now for some links. Please note that I am not endorsing any of these publications, just passing them along. Crossed Genres July theme is Anticipation. Sci-fi, fantasy, or a combination of both. 1000-6000 words. Pays $.06/word. Deadline for this theme is July 30. Collidor is a science fiction app-zine (they publish for tablets and smartphones.) 2000-18,000 words. 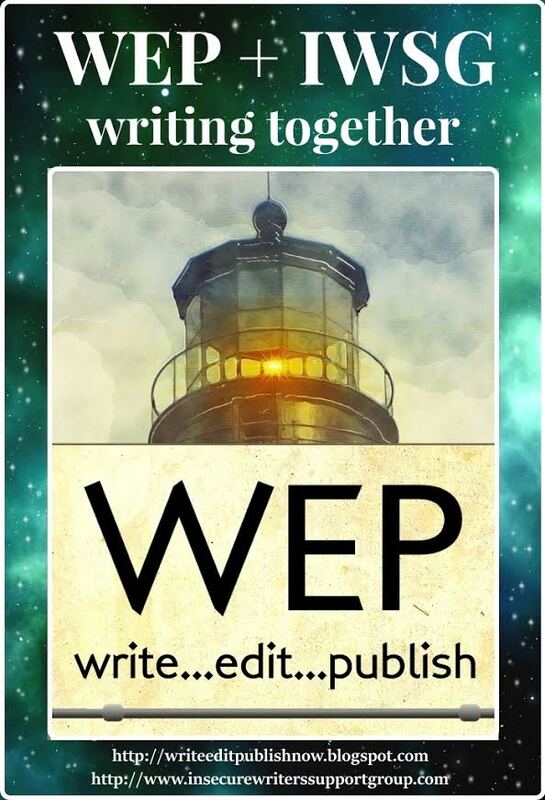 Pay begins at $.25/word for the first 5000 words and tapers down per 5000 words. Earth Island Journal is looking for articles on environmental concerns. Short dispatches are 1200-1500 words. Investigative features are 2500-3000 words. Pays $.25/word. Online reports pay $50-100. Onyx Neon is looking for shorts. They send out one per month. Many different genres, so check the web page. 5000-20,000 words. Pays 50% of the royalties brought in on your story. Saddlebag Dispatches wants short stories, serial novels, poetry, and non-fiction articles about the west. They don't specify pay, but it is likely royalties. Odd Tree Press is seeking speculative fiction flash fiction, short stories, artwork, and essays. Flash up to 500. Short stories 500-5000 words. Essays up to 5000 words. Pays between $10-25, depending upon submission type. Terraform is looking for future fiction, but make it the near future. 2000 words or fewer. Pays $.20/word. The Sockdolager is looking for adventure stories. 1000-5000 words. Pays $.02/word. 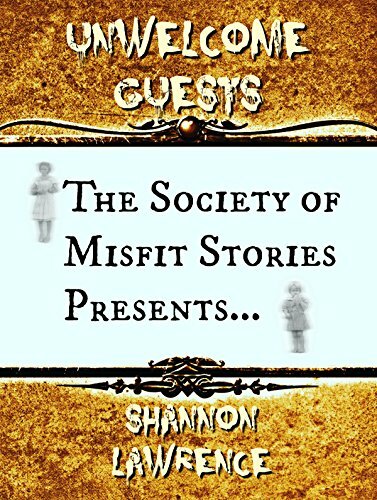 Tales From the Miskatonic Library is looking for, well, tales from the Miskatonic Library, that's what. I imagine it either means something to you or it doesn't. Pays $.03/word with a maximum of $100. Deadline August 8. Black Mirror Press seeks stories about endless winter, whatever the cause. 3000-7000 words. Pays $25. Deadline August 8. Do you ever find you're hesitant to write or edit, even though you're simultaneously excited about it? What are your insecurities? 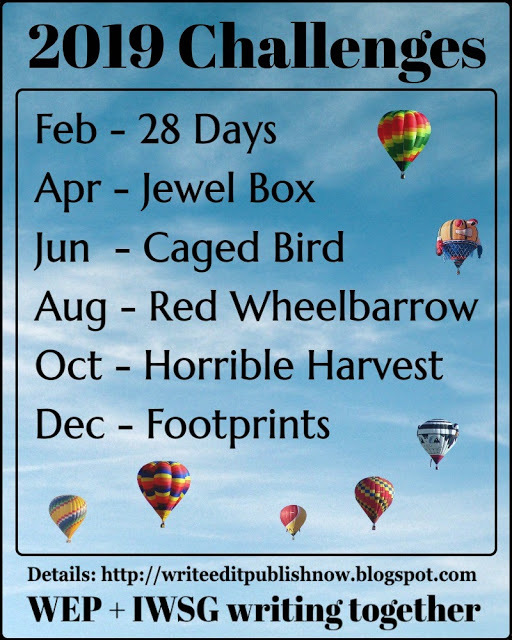 Have you done any submitting this month? Any rejections or acceptances? Any of these links of interest to you? Anything to share?